Monstrous icebergs, eerily tolling ships’ bells, fogs so dense that sky and sea solidify into a single ghostly whiteness, and uninhabited boats snap-frozen in time. Such are the haunting images described in accounts of the early exploration expeditions in the Arctic. 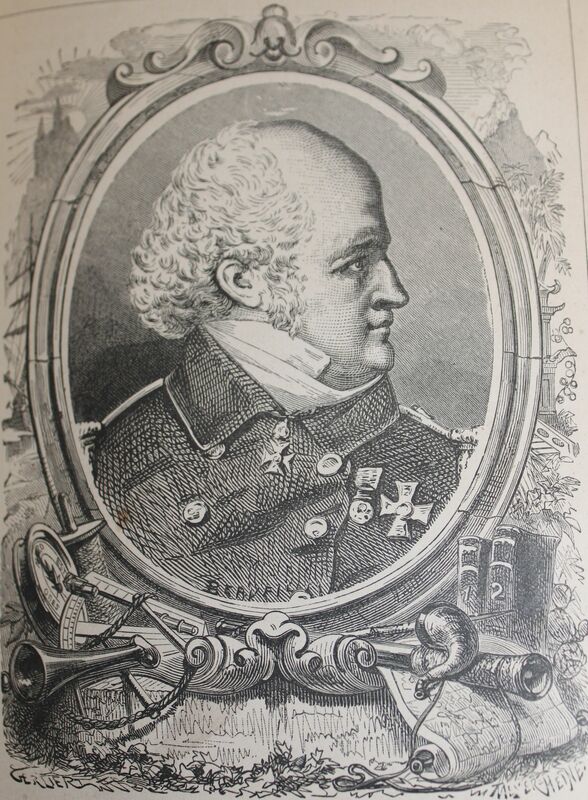 In May 1845 the 59-year old British naval captain, Sir John Franklin, set sail on his fourth and final expedition to the Arctic, charged with navigating the remaining 330-mile unexplored section of the Northwest Passage. After spending the winter of 1845-1846 encamped at Beechey Island, the two ships and crew of 129 became trapped in ice in Victoria Strait in September 1846. 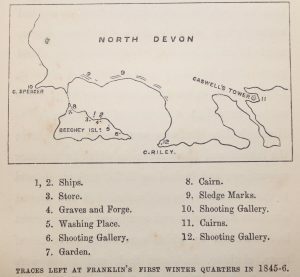 For the next 18 months the party remained marooned surviving on tinned food; a note found later disclosed that Franklin died on 11 June 1847, whilst the last of the crew were lost in an attempt to reach safety overland, succumbing to starvation and the elements in mid-1848. The puzzle explaining the events of the ill-fated mission has been pieced together from fragmentary evidence over two centuries. The 2014 and 2016 Canadian discoveries of the wrecks of Franklin’s lost ships, the Erebus and the Terror, became the most compelling breakthroughs associated with the mystery, providing tangible evidence of the last days of the trapped expedition before the vessels were abandoned by the stricken party. 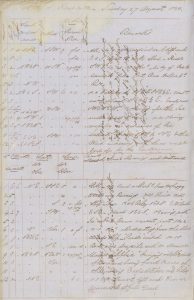 With the recent digitisation of the Log of the HMS Resolute (commanded by Royal Navy Captain Horatio Austin, and the first search expedition to find traces of Franklin’s party), another original record has been added to this ongoing historical interpretation. 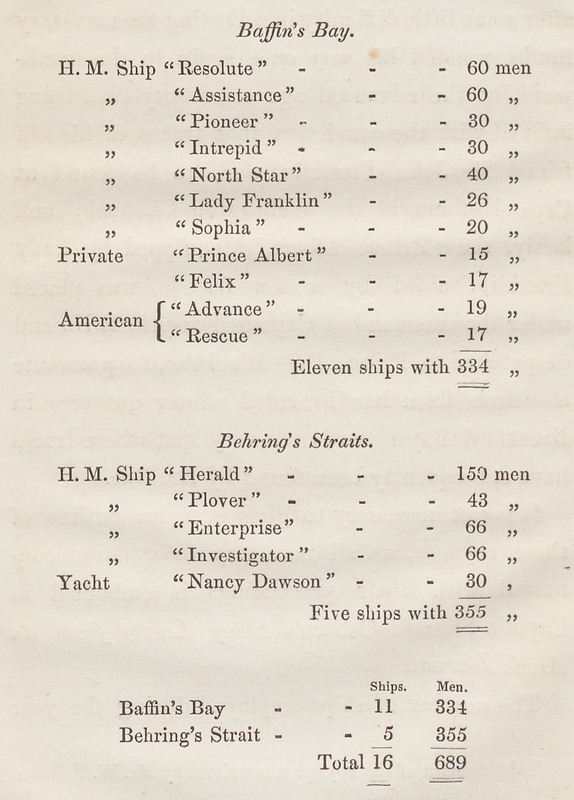 In 1850 no less than 16 expeditions (including English, American and privately commissioned parties) with a combined crew of 689, negotiated the frigid waters of the Arctic circle in search for Franklin’s missing ships. 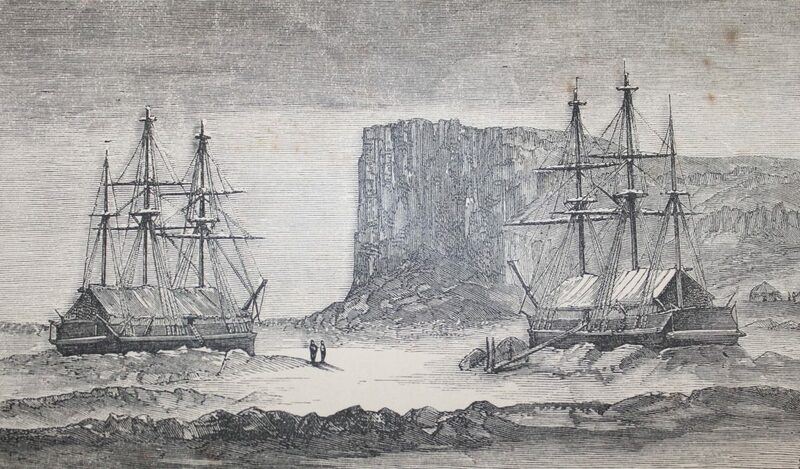 Austin’s official British naval expedition of four vessels comprised the rigged barques Resolute and Assistance, accompanied by the steam powered Pioneer and Intrepid to break through the ice and carve a safe passage for the commanding ships. Outer floe closed on ship giving her a very severe nip, which caused such a tremulous motion thro’out her as to ring all the Cabin Bells most violently; it also occasioned a singular action on the Masts. In addition to these terrifying moments, the log captures bursts of animation and high spirits on board, such as the call for ‘all hands on deck’ when a break in the floe was detected (Friday 2nd August) and a cheering when the ships were finally set free (Wednesday 14th August). It was not until midnight on Friday 16th August that Austin could at last record ‘only 7 Bergs to be seen and no other ice’. It was the first clear sailing for three weeks. 9.30pm: ‘Heavy pack ice on port…a Boat came alongside with Mr Stewart Master of Sophia bringing intelligence of Assistance having found traces of the missing Expedition on C[ape] Riley’. 11pm ‘Mr Stewart left and Pioneer proceeded at full speed’. Steadfastly remaining at the helm of his ship, Austin stayed on board whilst the ship’s master and surgeon were despatched to investigate what turned out to be traces of Franklin’s first winter camp on Beechey Island. The log reveals that even amidst the excitement of the discovery, Austin remained faithful to his responsibilities, taking weather and ice readings from the vantage point of the crow’s nest, rather than joining the search party on land. It is with a continued source of wonder that we learn about how rare books have come into our collection. We do know that the Resolute’s log was donated to the University of Melbourne Library in 1903 by Scottish immigrant George McArthur, a Maldon baker and book collector, and the Library’s first major benefactor. The exact circumstances of the purchase of the log remain elusive; it is recorded that McArthur travelled to Europe in 1866, the year following Austin’s death, and again in 1886 ‘and brought back many things to add to the valuable collections he then had’. [vi] He also maintained corresponding relationships with prominent London booksellers, such as Francis Edwards, from whom he made valuable purchases in the 1890s. It is possible given McArthur’s interest in maritime history, that he was able to purchase Austin’s log at a time when its significance may have been passed over by others less fascinated and attuned. How enriched our Rare Books Collection is to have benefitted from his insight. 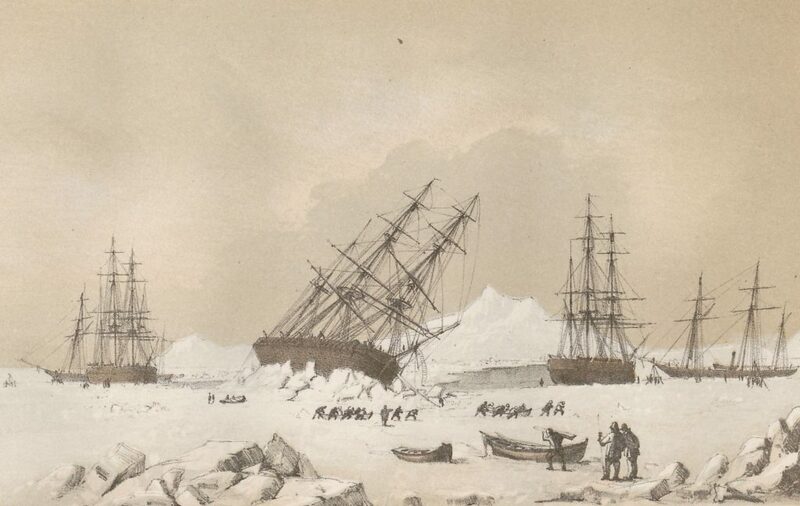 [i] McDougall, George F. The eventful voyage of HM discovery ship ‘Resolute’ to the Arctic regions in search of Sir John Franklin and the missing crews of HM discovery ships ‘Erebus’ and ‘Terror’, 1852, 1852, 1854… London: Longman et al, 1857, p. 99. [ii] Potter, Russell. Arctic spectacles: the frozen north in visual culture, 1818-1875. Seattle: University of Washington Press, c2007, p. 3. [iii]The Illustrated Arctic News, published on board HMS Resolute: Captain Horatio T. Austin, C.B. 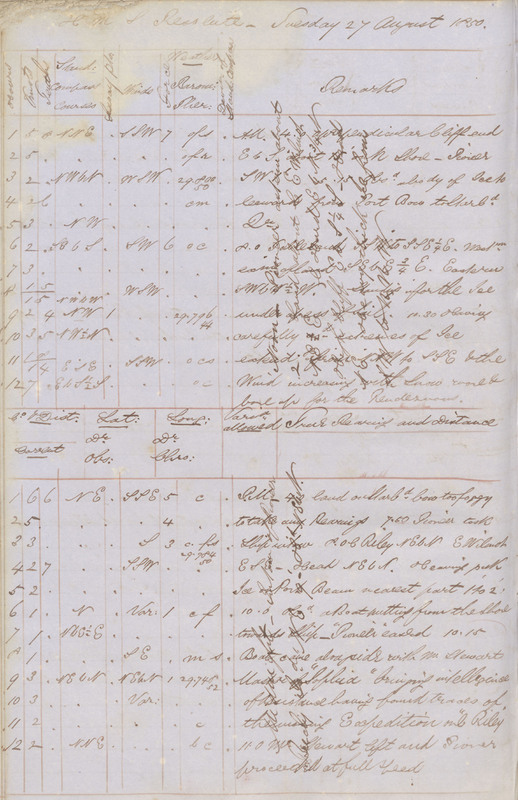 in Search of the Expedition under Sir John Franklin. London : Ackermann, 1852. [iv] McDougall, George F. Op cit, p. xxxix. [v] Osborn, Sherard. 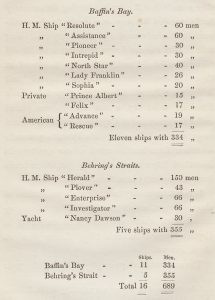 Stray leaves from an Arctic journal; or eighteen months in the polar regions, in search of Sir John Franklin’s Expedition, in the years 1850-51. London: Longman, 1852; Osborn, Sherard. 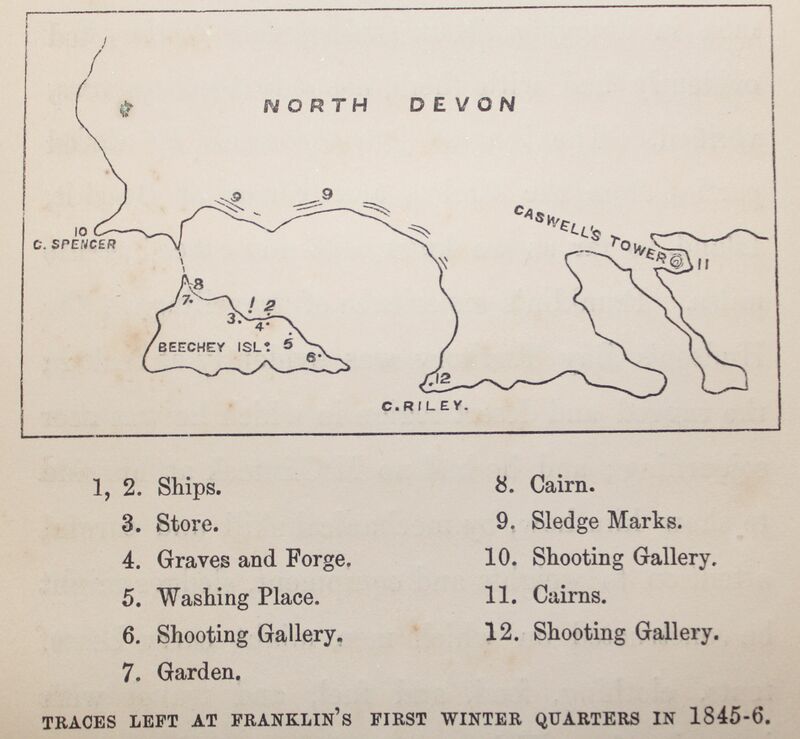 The career, last voyage, and fate of Captain Sir John Franklin. London: Bradbury & Evans, 1860. [vi] Lugton, Mary. George McArthur of Maldon: his life and book collection. Unpublished thesis (Master of Librarianship), Monash University, 1989, p. 3.